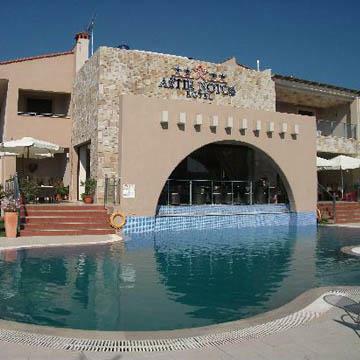 Astir Notos hotel is located in the lively village of Potos. This modern, stylish 4 * hotel is situated just 250m from the beach and at about the same distance from the center of the village. The Hotel Istion Club and Spa is located in an enchanting area where the blue of the sea blends harmoniously with the green of nature. 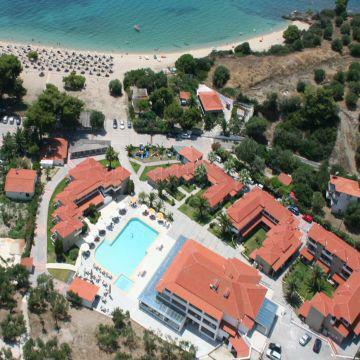 It is situated half an hour far away from “Macedonia” airport and 45 minutes from Thessaloniki. This luxury resort, thanks to both its integrated package of services and its facilities, will make your holiday a truly memorable experience. The hotel was built in 1993 and the neoclassical architecture fits perfectly into the natural environment. Lush greenery surrounds the hotel, and renovations were made during 2010 – 2011. 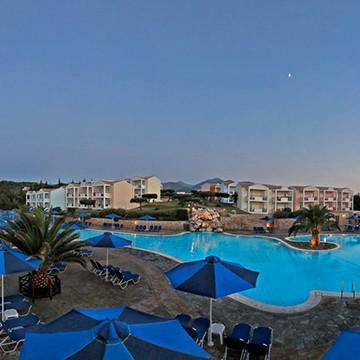 Hotel Lagomandra Beach is situated between the footsteps of Mt. Itamos and the deep blue waters of Toroneos Gulf, on the beach of Lagomandra, which has been awarded with the EU Blue Flags, next to its sister-hotel, Hotel Lagomandra. 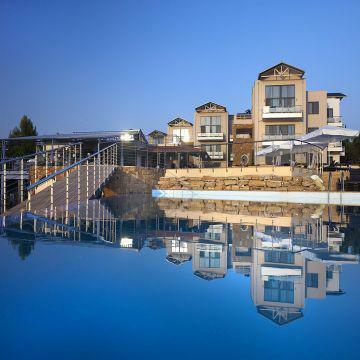 It is only 90 kilometres from the Airport of Thessaloniki and 6 kilometres from Neos Marmaras. 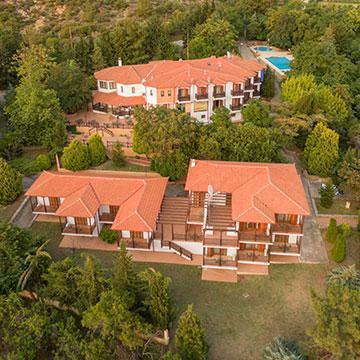 Hotel Lagomandra and Spa is located in the beautiful peninsula of Sithonia, about 6 km from Neos Marmaras, right over the main road, (easy access to the beach passing the hotel’s bridge), with a breathtaking view to the Toroneos Golf and opposite the sister hotel Lagomandra Beach. Hotel consists of one main building and five separate annex buildings and has been totally renovated during 2008 – 2009. The Lucy Hotel is situated right outside the city of Kavala, next to Kalamitsa Beach, couple of minutes from Egnatia High-way. 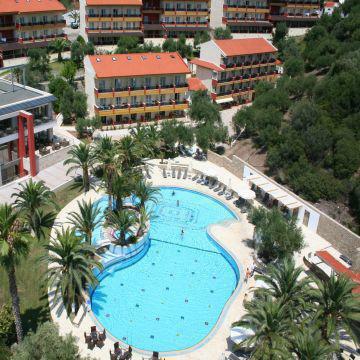 It is a 5* hotel which has been renovated, with access to the beach but also to the centre of the town, which is not far. Some rooms have an excellent view to the Aegean Sea. 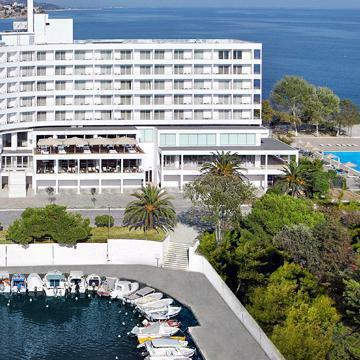 The Mare Blue Beach Hotel is located on the north coast of the island of Corfu, in St.Spyridon, between Acharavi and Kassiopi, 40km from Corfu town. A natural lagoon is situated at walking distance from the hotel, right next to the sea. Notos Deluxe Suites is located on the outskirts of Potos, just 200 meters away from Potos beach. 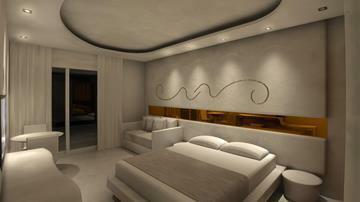 The guests can also easily reach the town center and the restaurants and bars of the area. The beautifully designed interiors of the hotel along with its great location make this charming hotel a great choice for this destination.